The government has allocated a total of 120 million Ghana cedis in the 2019 Budget and Economic Policy for the six potential new regions as initial seed money. Of the total, each potential new region would be given 20 million Ghana cedis for the provision of critical infrastructure to enable the new regions to take off smoothly. Mr Daniel Kwaku Botwe, the Minister of Regional Integration, who disclosed this at a meet the press series on Thursday, in Accra, said government subsequently would provide more funding to facilitate the growth of those new regions once the people voted enough to back their call. He explained that, so far, the state had done its part and it was left with petitioners to ensure that collectively 50 per cent of the persons in the six areas entitled to vote cast their votes. The petitioners from each region, he said, needed to educate electorates to achieve the 80 per cent cast in favour of the creation of new regions. Should the results of the referendum be favourable for the creation of new regions, the Minister said the Government was enjoined by Article 5(8) of the 1992 Constitution to issue a Constitutional Instrument giving effect to the results of the referendum for the creation of the new regions. As per the Electoral Commission’s (EC) roadmap, December 27, 2018, had been set for the conduct of the referendum and government was waiting for the EC to come out with the symbols/colours that would be used, Mr Botwe said. Commenting on the allegations that the Government did not consult widely in the process, Mr Botwe stated that the Ministry sensitised all the stakeholders, including chiefs and opinion leaders, in the six potential regions on the process. 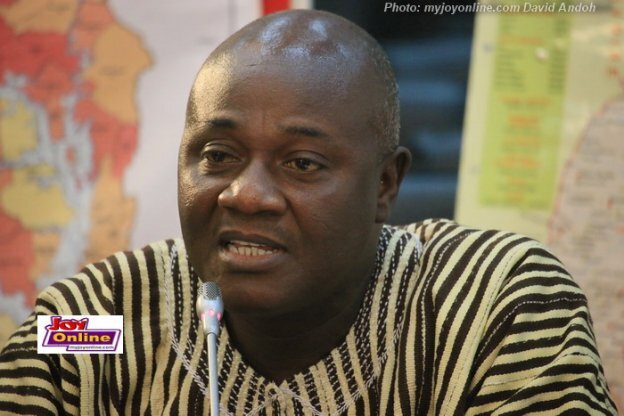 He noted that aside the work done by the Ministry of Regional Integration, the Justice Brobbey Commission engaged all and sundry to make oral and written submissions to the Commission through several media and also held extensive public hearings before submitting its report to the Government. Mr Botwe said the demands for re-organisation of administrative regions had long historical antecedents dating as far back as 1902, according to the 1992 Constitution. He said there existed significant evidence that the demands for the creation of new regions were not made by the Government alone but also by formers presidents. 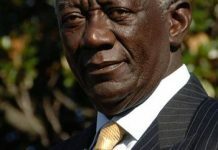 “Aside the New Patriotic Party’s 2016 Manifesto giving hints of the creation of new regions it is instructive to note that the 2016 Manifesto of the National Democratic Congress (NDC), the main opposition party, contains a pledge to facilitate the creation of five (5) new regions had the NDC been successful at the 2016 elections,” he said. Those intentions clearly showed that there was a meeting of ‘minds’ of the two major parties on the issue of creating new administrative regions, Mr Botwe said. Previous articleFRONT PAGES: TODAY AT THE NEWS STAND NOV 30TH, 2018.